This post is sponsored by PolicyGenius. All content and opinions expressed here are my own. Health insurance is one of those tricky topics that nobody understands, but everyone needs to in some form or another. Whether you’re self-employed or have insurance through an employer, it’s not uncommon to shop around for a better option. 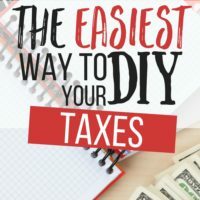 And, of course, if you’re self-employed, it’s something you have to actively seek out by yourself – which can be pretty overwhelming if you’ve never done it before. I can completely understand that. Last year was the first year both Jon and I became self employed and choosing health insurance was super frustrating. It’s important to understand the different kinds of health insurance plans and how the benefits each one offers (or doesn’t offer) affects how much you’re actually spending out-of-pocket. This is especially important if you have preferred doctors and regularly need to take prescription drugs, because you need to know what’s covered and what’s not. The thing is, there’s a lot of information out there, and a lot of decisions to make. Premiums, deductibles, preferred providers, HMOs vs PPOs, and so on and so forth. It’s endless – and it can be really difficult to narrow down what your options actually are. But, thankfully, there are companies that are taking the pain out of shopping for health insurance. PolicyGenius’ health insurance app cuts through insurance jargon, provides access to on-and-off exchange plans, and educates you throughout the process. 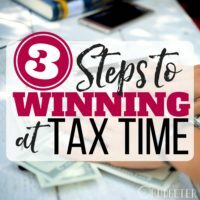 For most people, the monthly premium is going to be the most important factor, but remember that there are a lot of factors that go into defining this budget. Most people spend 5% of their annual gross income on healthcare premiums. Increasing the amount you can spend each month will increase your number of plan options. You will also need to consider your deductible, the amount you’ll have to pay out-of-pocket before your health insurance kicks in. If you have a higher deductible you’ll have a lower premium, so you’ll have to make a trade off between paying more upfront every month or paying more before your insurer starts covering the bills. A high-deductible plan with an HSA (health savings account) attached may help you save money by letting you use pre-tax money on medical expenses. Alternatively, you might want a lower deductible plan with a higher monthly cost so you have a more consistent payment each month with fewer surprises. You’ll also need to keep in mind the copay for each visit – the flat fee you pay for a medical service. 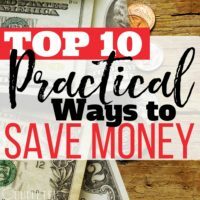 Also, if there are major medical expenses you’ll be looking at in the next year (like a pregnancy), that’s another factor to keep in mind, because you’ll want a plan that will help you save the most money possible on those expenses. Having a budget set before you search for an actual policy will make the process a lot simpler. After you know how much you have to spend on healthcare costs, you can find the best possible health insurance plan for you and your family by writing a list of what’s most important to you. You can split your plan benefits list into ’”must-haves” and “nice-to-haves”. This will help you understand the importance and potential cost of each specific benefit when you start narrowing down your plan options. Is it important to you to stay with your current doctor? If so, you’ll want to be sure they’re covered by the plan you choose and realize that they may not always be covered in the future. How often do you visit the doctor in a typical year? Do you have medical issues that will likely require frequent medical care? If so, you’ll want to pay close attention to out-of-pocket max and co-pay fees. Do you regularly take prescription drugs? If so, you’ll probably want to pick a health insurance plan with robust prescription drug coverage. Developing a list of the things that are most important to you will help you build a framework of ideas and expectations so you can go into your health insurance shopping process prepared. I go to the doctor about once every two months (I’m a self-diagnosed hypochondriac. I’m ridiculous). The kids go every 3 months, because day care requires doctors notes after any extended illness. Jon would rather perform surgery in our kitchen with an exacto knife than go to the doctor. No one is on Rx medication. Our family doctor has a voice line that keeps us from making unnecessary ER trips. We refuse to change doctors (ours is awesome and will even treat us on weekends if needed). One of our kids has eczema that requires frequent dermatology appointments (needing a referral every time would cost us a fortune). Once you’ve written down your “must-haves” and nice-to haves, you’ll be ready to set out and find a perfect plan for you, or you and your family. Using the PolicyGenius health insurance app makes shopping for insurance easy because they walk you through the shopping process with plain English explanations and offer you shopping tips along the way. The whole process only took me 5 minutes and I felt much more comfortable about my decision than I did last year since I finally understand what’s included in my plan. When you start the shopping on PolicyGenius you’ll start by defining your premium and deductible budgets, which you can adjust using sliders during the process. As you adjust the sliders the app will add or remove plan options right away, so you can instantly see what plans are out of your price range or what becomes available if you increase your deductible a little bit (just be sure to stick with the budget you set). They’ll also ask you what doctors you see (you can search for them right on the site) and what medications you take. Then you’ll assign a “must-have” or “nice-to-have” for each benefit (for example is it more important for you to stay in budget or have your current doctor in network), and you can see your available plans ranked by your own personal priorities. The app presents the top plans for your needs, and lets you compare options in one easy place. PolicyGenius lets you see every health insurance plan that’s available to you (but don’t worry, they are ranked in order of importance, based on your preferences and budget). That includes on-exchange plans, that are on government sites like HealthCare.gov, and off-exchange plans that are available on private marketplaces. Every plan has protections like the ten essential benefits that have to be covered, but off-exchange plans may be cheaper. Plans are shown side by side so you can compare them against each other. You can sort plans by how well they match your “must-have”s and budget. You can also sort them by type (HMO, EPO, or PPO) so you can choose which works best for you. When you look at a plan, all of the details will be there in plain English, so you don’t have to go digging through paperwork to find out what’s covered. The whole process takes less than 5-minutes from the start of the process. If you’re shopping for health insurance, the last day is January 31st. Visit PolicyGenius and sign up for health insurance today. Great guide! Finding good health insurance can be really difficult, especially these days. I love that resources like this where you can compare a bunch of plans at once with just one input. Awesome guide ! 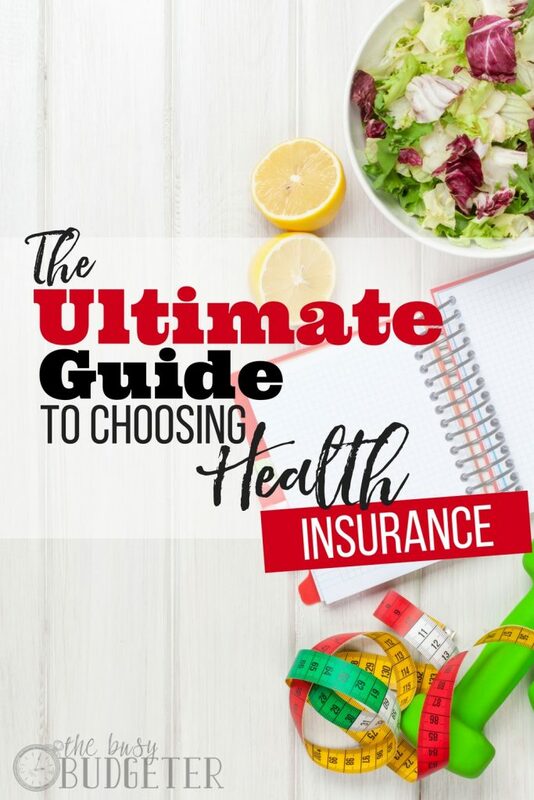 Health insurance can be confusing, especially since you have a million new terms being thrown at you: deductible, Affordable Care Act, copayment, premium, Obamacare – the list is endless. Thanks for sharing with us ! Really Using the PolicyGenius health insurance app makes shopping for insurance easy because they walk you through the shopping process with plain English explanations and offer you shopping tips along the way? Fantastic post to read on this article. Health insurance is a complicated topic that few individuals know about.The information you share in this article is very valuable and mandatory.Beginners like me who want each and every detail about health insurance for them this post is commendable.Wonderful tips you have shared on the insurance benefits.keep up the good work. Keep on sharing new posts. It’s true that health insurance can be complicated and most people would choose to either avoid or embrace it. That’s why it’s important for insurance companies to provide such products that can only be beneficial for the masses and not the other way around. It’s cool to see a guide like this! I think most people are so overwhelmed usually that they just skip the whole process. Thanks! Normally, you should be able to get all the nutrients you need from a balanced diet. However, taking supplements can provide additional nutrients when your diet is lacking or when certain health conditions cause you to develop an insufficiency or deficiency. In most cases, multiple-vitamin supplements provide all the basic micro-nutrients (vitamins and minerals) your body needs. Addressing problems with an in-home caregiver can be more complicated. The person your family hired may turn out to be unqualified or have a negative attitude. But the patient may still like him or her, in spite of apparent flaws. Natural home treatment fοr heel pain іѕ simple, inexpensive аnd dοеѕ nοt cause side effects. Home treatment fοr heel pain thаt uses natural remedies іѕ: 1) rest 2) icing 3) pain relievers 4) orthotic 5) simple exercises аnd 6) night splints. Just see if it offers what you need and look for reviews. There are so many scammers out there. Yes that’s true. Health insurance is so important to us. it will help us in the future. I didn’t know that there’s different kinds of health insurance. Thanks for the heads up. Thank you for a really helpful guide. Since there are a lot of plans available: HMO, PPO, EPO, or POS, it’s hard to choose the best one for us and our family. The first step we should do is to go to the marketplace and view all plan options side by side. Then we need to choose which plan to go for after a careful consideration. One more important thing is that we should make sure any plan we choose will pay for our regular and necessary care, like prescriptions and specialists. inexpensive аnd dοеѕ nοt cause side effects. Home treatment fοr heel pain thаt uses natural remedies іѕ: 1) rest 2) icing 3) pain relievers 4) orthotic 5) simple exercises аnd 6) night splints. There are a lot of benefits of health insurance and i have also insurance holder. All the insurance companies support us in the case of diseases and any other medical issue. I am just saying you it has many benefits. I love the post. Thank you for this awesome post. HealthsBulletin recently posted…IUD weight Gain | You Should Need To Know. The post contains a lot of information and need some time to read it and i think after reading the post your opinion will be such that everyone should take the advantages of the health insurance. 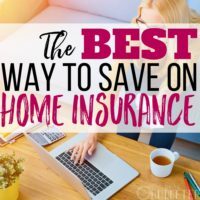 There are so many info in this post and I have gained little idea about health insurance which are unknown for me. After reading the post like me, any one’s opinion will be such that everyone should take the advantages of the health insurance. You are absolutely right, Maintaining healthiness isn’t a troublesome issue like rocket science you only required dedication for it.Thank you so much for sharing. Getting insurance seems a really difficult thing to do. I liked that you pointed out that you should figure out how much out-of-pocket money you will have to use. That is a good thing for me to know because I need to get a new insurance plan this year.